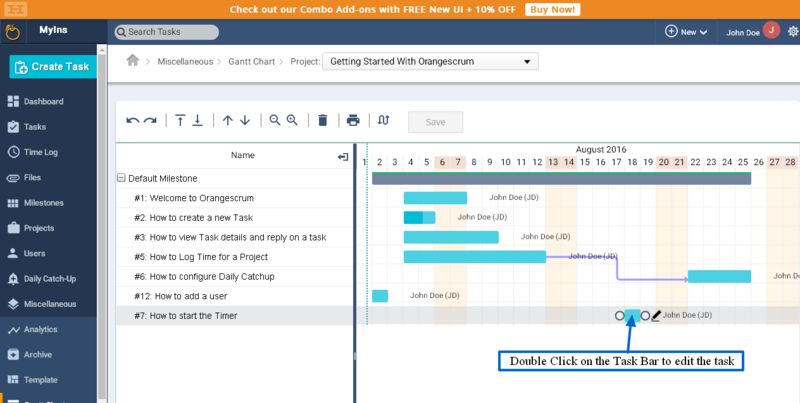 Home Gantt Chart How to create a task in Gantt chart? Create task(s) by clicking on “Insert Task Above/Below” icons. It will create an empty row above or below the current task selected for you to type task details. 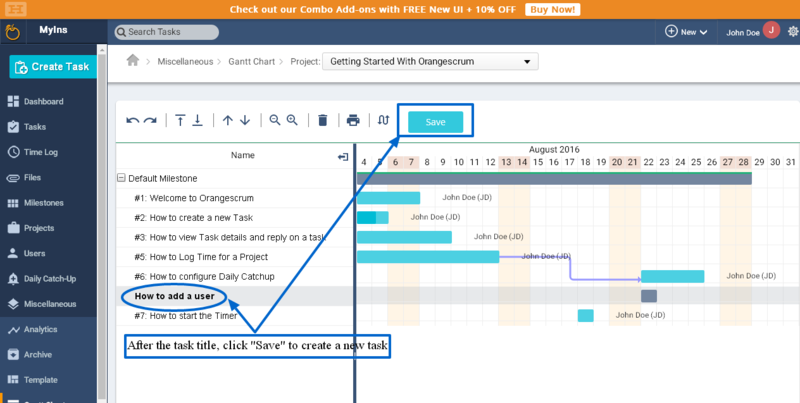 Once you enter the task details, click on “Save” to create a task from the Gantt chart. At any time you can edit the task by double clicking on the task bar as shown in image. On the Edit Task pop up, you can edit the task title, description, task type, priority, progress, start date & end date of a task. Click “Save” to save the changes for the task.